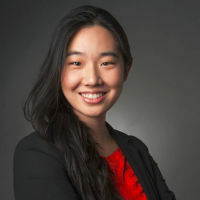 Amy Wan, Esq., CIPP/US is Partner at Trowbridge Sidoti LLP (CrowdfundingLawyers.net), where she advises on syndication and crowdfunding law. Formerly, she was General Counsel at Patch of Land, a real estate marketplace lending platform. While there, Amy pioneered the industry’s first payment dependent note that is secured pursuant to an indenture trustee and designed to be bankruptcy remote, and advised the company on its $24.6M Series A funding round. She was recognized as a Finalist for the Corporate Counsel of the Year Award 2015 by LA Business Journal. Amy is also founder and co-organizer of Legal Hackers LA, and was named one of the one of ten women to watch in legal technology by the American Bar Association Journal in 2014. Amy began her career as Presidential Management Fellow at the U.S. Department of Transportation, where she worked on U.S.-China transportation policy. She has also worked in enforcement and compliance at the U.S. Department of Commerce, where she represented the United States in delegations to the WTO and participated in free trade agreement negotiations on regulatory coherence and technical barriers to trade. Amy has also taught and spoken at SXSW, Practical Law Institute, and the American College of Mortgage Attorneys. She holds an LL.M. from the London School of Economics and Political Science, a JD from the University of Southern California Gould School of Law, and a BA from the University of Southern California.